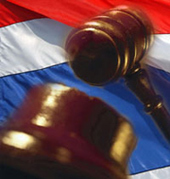 Proceedings in Civil and Commercial cases in Thailand are governed by the Civil Procedure Code 1935. It is a fundamental Principle of the Code that all trials must be held in open court and in the presence of all parties except in case of default of appearance or in case of a necessity to maintain order in court. However, the court may proceed with the hearing in the absence of the party in default or expelled on the grounds of improper behavior. Both sides are given an equal opportunity to be heard, and are entitled to legal representation. Witnesses are subjected to examination, cross-examination and re-examination. The court shall have full power to decide whether the evidence as given by the parties is relevant to the issue and is sufficient to be taken as conclusive or not and then to give judgment accordingly. The judgment must state the grounds on which it is based. Although the judgment may be appealed to the Court of Appeal and further appealed to the Supreme Court, the lodging of an appeal or further appeal does not automatically cause a stay of execution of the judgment or order of the court. The party lodging the appeal may, however, apply to the Court of Appeal or the Supreme Court for such stay of execution. The cases in the Court of First Instance are concluded within 8-10 months. However in the Appeal Court and the Supreme Court it is impossible to give timescales. WHY SHOULD YOU FIND A TRUSTED THAI LAWYER TO ASSIST YOU IN LITIGATION IN THAILAND? As all statements in Court need to be submitted in Thai, unless fluent in both written and spoken Thai, it is advisable for a foreigner to instruct a lawyer in Thailand to act on his/her behalf. As a result, M & S Law Office 2006 offers all methods of communication to our clients and we do our best to answer client’s queries on the same day. We do our best to represent you and to keep you informed of the progress of the case. We make the effort to tell you, (either by phone, email, fax or letter) every time a step is taken. If things are held up for any reason, we will tell you why. We also make sure that all our communications are in plain clear English. The main provisions of criminal procedural law in Thailand are contained in the Criminal Procedure Code 1935. This Code applies to criminal case in all courts of Justice except in Kwaeng courts (District Court), Procedural laws in Kwaeng courts are governed by the Setting up and Criminal Procedure of Kwaeng Courts Act 1956.